Note: checkout the recordings on our Media page ! The 2015 World Billiards Championship took place at the Northern Snooker Centre in Leeds, England sponsored by LITEtask Ltd in association with Northern Snooker Centre. Dave Causier achieved a lifelong ambition today by adding the long format World Championships to the short format event he won last week. 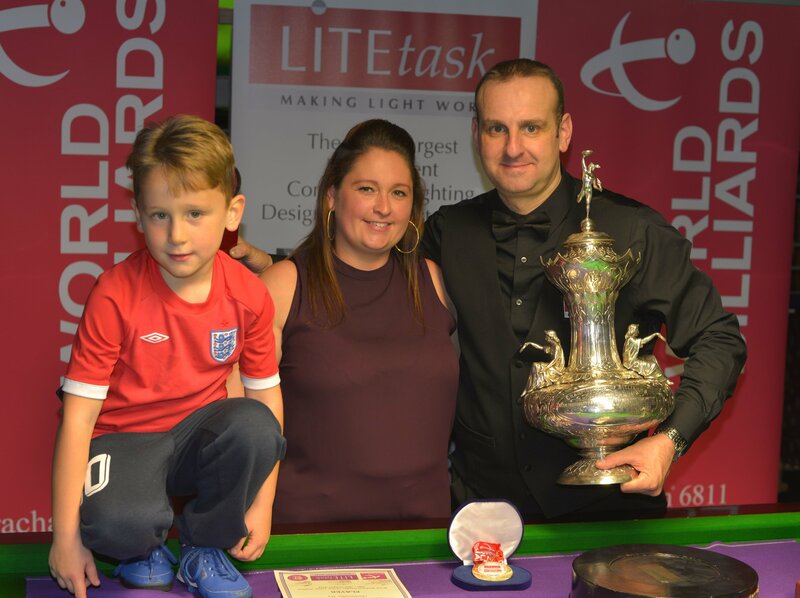 He made it a clean sweep as he had also won the Jim Williamson Memorial which acts as the curtain raiser to the World Championship. This is the first time this treble has been achieved. 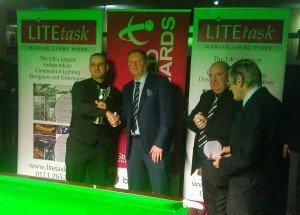 Dave with Mark Pears (LITEtask), Jim Leacy (WBL) and Eugene O’Connor (Tournament Dir).